Whether they are referred to as 4K TVs, UHD TVs, Ultra High Definition TVs, or Ultra HD TVs they all mean essentially the same thing – that the resolution of the display is 4x that of HD resolution or 3840 x 2160 pixels. 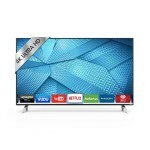 These models are getting more popular and affordable and are the future instead of standard 1080p HDTVs. While there is still very little content available in 4K, these displays will also upconvert standard HD content to 4K which means you can watch anything with confidence that it will look good, although some models do this better than others. 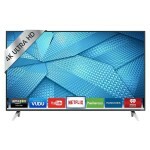 Prices are a bit more expensive than HDTVs and you can expect to pay anywhere from about $500 to $4000 depending on size, picture quality, and features. However, there are many models that provide a good value by fitting into that sweet spot between price and performance. We graded dozens of 4K TVs on picture quality, 4K performance (including upscaling), viewing angle, features, and more plus factored in other user reviews and price to come up with our final ratings for Ultra HD TVs. Below we review the best 4K TVs in 3 different size categories. If you need more information or purchasing advice see our television buying guide. 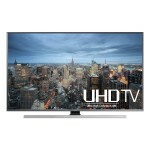 You might also be interested in our reviews of the Best Overall TVs, LED TVs, 3D TVs, OLED TVs, or Plasma TVs.